My kids got the Dash and Dot Robots for Christmas and it’s been a big hit! (Read this introductory post to refresh your memory about them.) So far, it’s kind of like having a pet. Only way easier to take care of! But it’s been kind of like training a dog to do tricks. This toy is such a great toy for teaching kids to learn how to program and code. It’s a beginning to a road of practical and useful skills in today’s technological world. 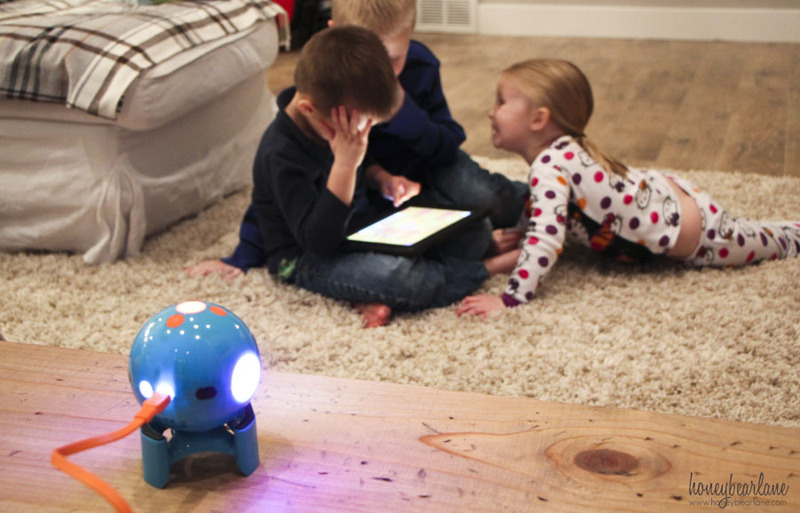 It can be hard to find just the right toy that is a balance between learning tech skills and just playing video games, but Dash and Dot is that. It’s super fun for the kids and feels like a game, but they are learning valuable things in turn. 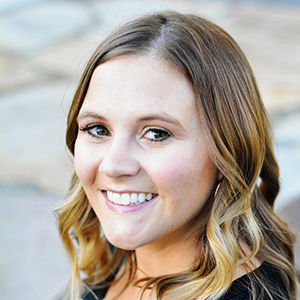 My husband and I would really like to see computer science as a priority in schools. However, it’s actually only offered in 10% of all schools but in Estonia, coding is in the 1st grade curriculum! There are four different apps you can use with Dash & Dot, although we’ve only used two so far (but can’t wait to discover the other ones!). Path: Beginning coding, but in a very simple way. You just draw a line to make a path for Dash to follow and add actions for him to do along the way. There are other activities as well to unlock further actions. 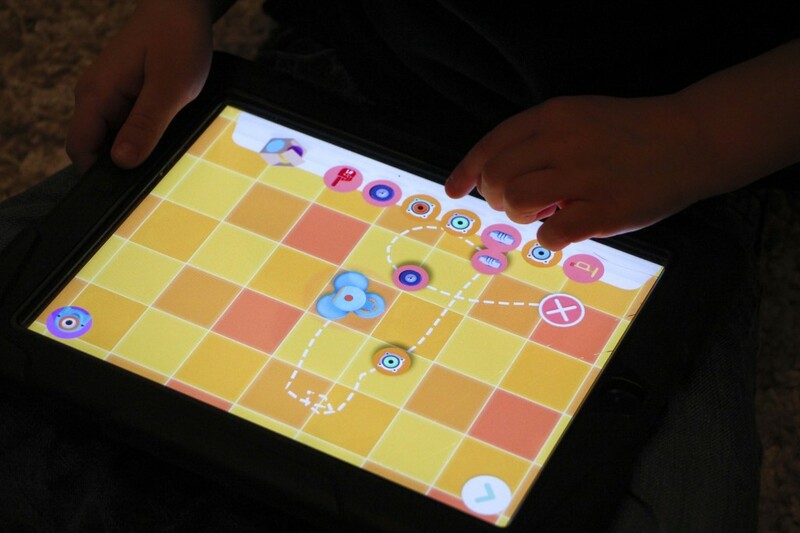 Blockly: This is more in-depth coding, for ages 5+. You start to learn algorithm design, command sequences and control flow, conditions, loops, and more. Xylo: This is how you get Dash to play music! You can program him to (using an attachment) play an xylophone. 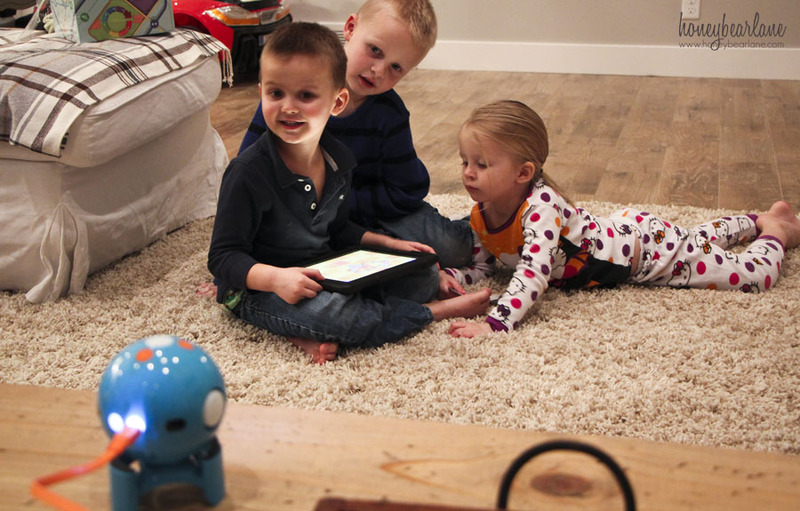 If you are considering the Dash and Dot robots for your kids, do it! They are hours of fun and super educational! Please visit this link for lots more ways you can play with your Dash and Dot robots! I participated in this program on behalf of Wonder Workshop and The Motherhood. All opinions are my own.